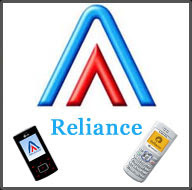 Today Reliance Communications has launched a new tariff plan for its GSM and CDMA customers which will cost 50 paise a minute per call. The Simply Reliance Plan will be available from today for prepaid and post-paid users. To avail of this plan, existing or new prepaid customers have to purchase a one-time special tariff voucher worth Rs 48 for lifetime validity. Post-paid customers can also go for this plan at a monthly subscription fee of Rs 99. Messaging within the country will also cost the same. There will be no monthly charges for prepaid customers. This single rate of 50 paise a minute applies to all local and STD calls, to any mobile CDMA or GSM or landline from anywhere in India. The same charge will apply to incoming and outgoing calls, be it roaming or anytime of the day.